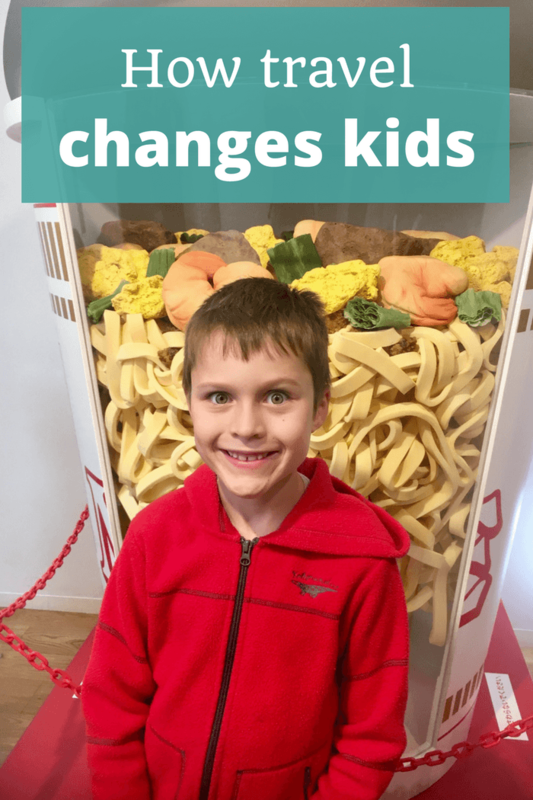 Travelling as a kid completely changed my life path (I feel confident I wouldn’t be a travel blogger now if my parents hadn’t taken the massive step of dragging two kids around Europe in a campervan over thirty years ago …) and I can see already that travelling has changed my son’s life (for the better), too. I can’t wait to see the role travel plays in his future, but even if he never went anywhere again, it has already shaped his attitudes and personality in all sorts of positive ways. With that background, I am always excited when I speak to other travel-loving parents and we talk about the role travel has had in shaping their children, too, and that’s exactly what this episode of the podcast is all about. As parents, we have so many choices on the way we influence our kids. In Episode 94 of The Thoughtful Travel Podcast, the influence we talk about is – of course! – travel. I love the way my son’s habits, attitudes and personality reflect his many experiences of travel (and yes, he’s very privileged, even though we are usually in the budget traveller category), and I’m happy to know that many other parents feel the same. My first guest is Stina Frantzich Gardiner, a Swedish friend of mine here in Perth, and we chat about how her two children have been influenced by their trips back to Europe – along with how travel influenced Stina herself as she was growing up in Europe. I then chat with Reeva Cutting who has quite a unique experience of travel as a child, when she would fly regularly within South Africa to visit her father. That experience has certainly set her up for a lifelong love of travel and importantly the confidence to do it. Finally, I speak with the always delightful Luke Mackin who speaks to the experience of travelling super-long haul with three very young children – my full respect to Luke and his wife for managing these experiences so well, because I’m not sure I would!